We welcome you to Shunsaiten Tsuchiya. At Shunsaiten Tsuchiya we strive to provide warm hospitality and a one of a kind tempura course combined with traditional kaiseki and an assortment of seasonal delicacies. We prefer to say that the tempura course is “combined” with traditional kaiseki, and not “mixed” as the balance of the two is very important. The inspiration arising from the coexisting power of tempura and kaiseki; the delicate flavors of Japanese kaiseki cuisine fused with the robust flavors of tempura, form the style at Shunsaiten Tsuchiya. 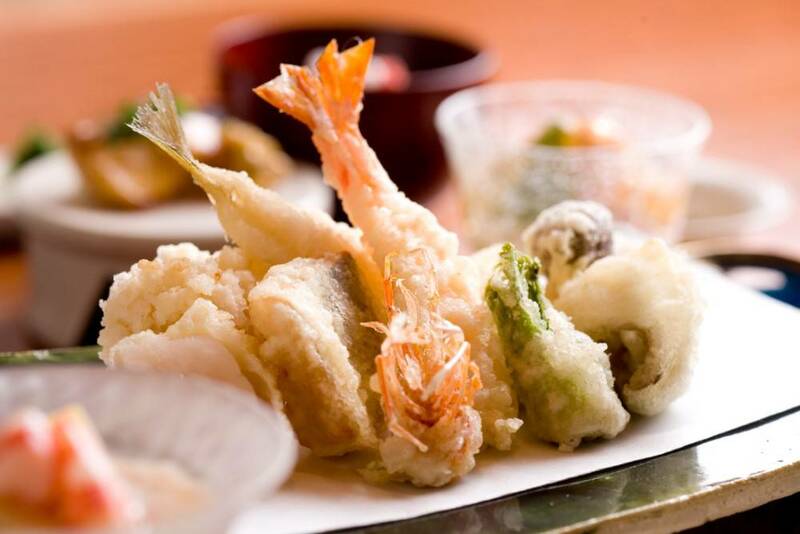 We wish to take tempura to a whole new level and provide cuisine and hospitality which can excite customer’s instincts. As a chef, that is something that I would like to see. 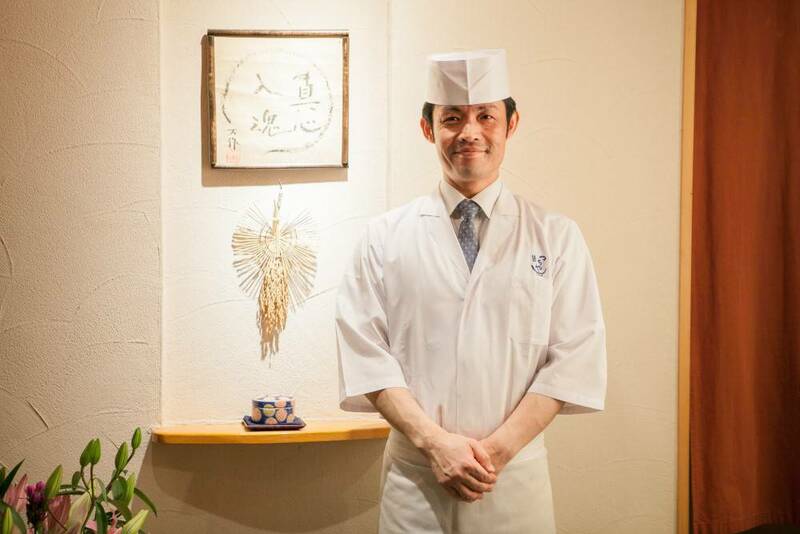 We hope that all our guests can enjoy the atmosphere, hospitality and cuisine at Shunsaiten Tsuchiya. Tempura is the ultimate way to cook. Depending on what is cooked, the thickness of the batter that coats each ingredient can be adjusted, as well as the temperature of the oil in which it is deep-fried. While looking quite simple in appearance, the chemical reaction taking place is actually quite complex. By heating the ingredients in a batter, the ingredients lose moisture and heighten the umami and fragrance. However, if cooked too long, the ingredients lose umami and the texture becomes dry. 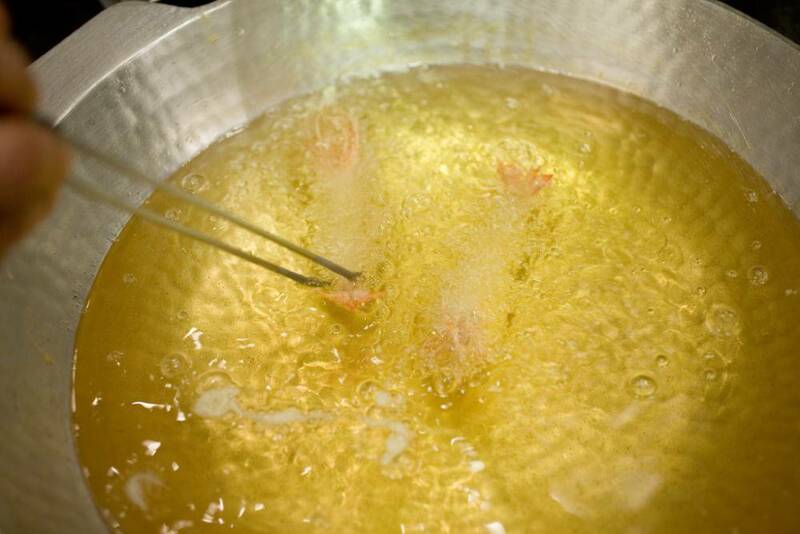 The process of deep-frying with oil requires precise timing and heat in order that the moisture, umami and fragrance all come together at the perfect intersecting point. The result born from the technique utilized, is the tempura at Shunsaiten Tsuchiya. We believe that it is of significant importance for the chef to take extreme effort in gathering the most delicious ingredients that can be found, in order to provide great tasting food. This element is as crucial as it is for washoku to have the blessings of seasonal ingredients. Shunsaiten Tsuchiya also holds this as important, treasuring the blessings of seasonal ingredients so that all our guests can enjoy our tempura and kaiseki cuisine and tempura. The tempura at our restaurant has a crispy and light texture, and we hope guests can enjoy the special fragrance, sweetness and umami of our selective cuisine. Renovated from a traditional Japanese house, we welcome you to get away from the stress of daily life, and enjoy the gourmet cuisine at Shunsaiten Tsuchiya.